Days Inn Calgary Airport Hotel Blog: Explore the variety of Calgary this April! Explore the variety of Calgary this April! Calgary is popping off this April! There really is something for everybody – just check out the variety in these events! Now in its 20th year, Taste of Jamaica is how Calgary’s Jamaican community celebrates its heritage! Featuring great food, poetry, music and dancing, this is the best of Jamaica in Canada! A family-friendly event, all adult tickets come with a free sampling platter of jerk chicken, patties and ackee and saltfish! Featuring music by Nana McLean, Powerhouze, Dub-ble Trouble and more! Takes place April 20 at Thorncliffe Greenview Community Centre. The Calgary Underground Film Festival has a very simple mission statement – to bring great movies that would otherwise go overlooked to the big screen here in Calgary! Taking place April 22-28 at various venues throughout the city, this is THE place for cinephiles in April! And if you happen to be in Calgary on April 17, catch a free screening of the classic Canadian cult horror film Happy Birthday to Me! It’s back! This four-day explosion of the best of comics, games, fantasy, sci-fi and fandom transforms The Calgary Stampede Fairgrounds April 25-28! Guests this year include Zachary Levi, star of the upcoming Shazam!, David Harbour (Stranger Things’ Sheriff Hopper) and the entire main cast of Back to The Future! Yes, including Michael J. Fox! Throw in hundreds of creators and vendors, expo exclusive reveals, cosplay and more, this is absolutely the best place for your nerd dollar! 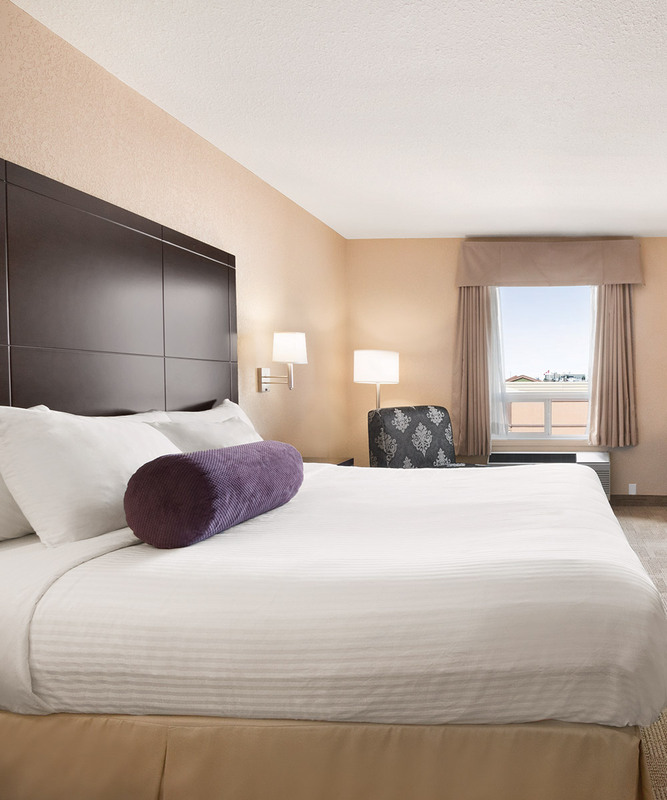 Calgary has something for everybody, but what everyone will agree on is the great value of the Days Inn Calgary Airport. Located just 15 minutes from downtown Calgary, we combine an unbeatable location with fantastic amenities like a free airport shuttle and breakfast from our complimentary Daybreak Café! Book your stay today.